The harvesting cherries for the Domestic market starts today. The harvesting for the Japanese market is on schedule! Currently the weather is fairly stable in areas around Auvil Farm in Orondo, WA, and there is no rain in the forecast after this week. The yield is reportedly better this year, and if the weather permits, the harvest will start on July 5th. 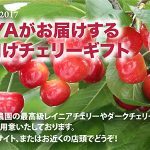 The cherries reserved for Japan are scheduled to be shipped out starting from July 14th through 20th. It will, however, depend on the weather, and under certain circumstances the shipment may get delayed until after July 21st. We are hoping the weather will stay good for the next couple of weeks, and we will report again whenever the situation changes. 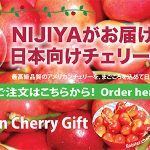 Finally, we started taking cherry gift orders to Japan. High Quality Cherry Available in California!! 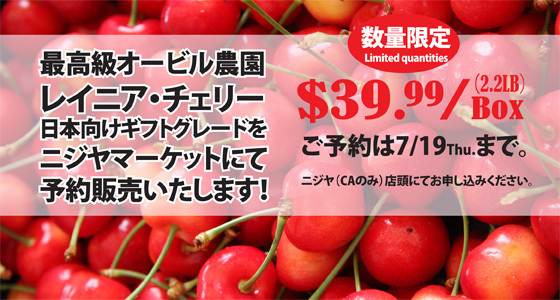 Order for Japanese Gift Quality Rainier Cherry! Enjoy the popular Rainier cherry from well-known Auvil farm. Available exclusively at Nijiya Market. Place your order by 7/19 (Thu) at the front desk of your local Nijiya Market. Sumo is now available as a gift through our online store! Please check the detail here. 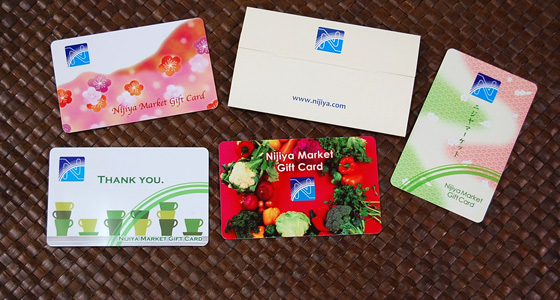 Introducing Nijiya Market Gift Cards! Please check the detail here. We closed Nijiya Cherry order as of 2011 June 30th. It will be shipped around the middle to the end of July. 6/30 Today is the last day of cherry gift to Japan 2011. Please hurry and make a reservation for your family or friends in Japan. 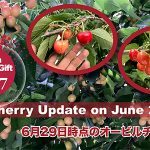 Nijiya Cherry Gift to Japan has begun!! Make your reservations now! !